Kewadin Casinos with locations in Sault Ste. Marie, St. Ignace, Manistique, Christmas, and Hessel, offers premium entertainment in the beauty of Michigan’s Upper Peninsula – 24 hours a day, 365 days a year. 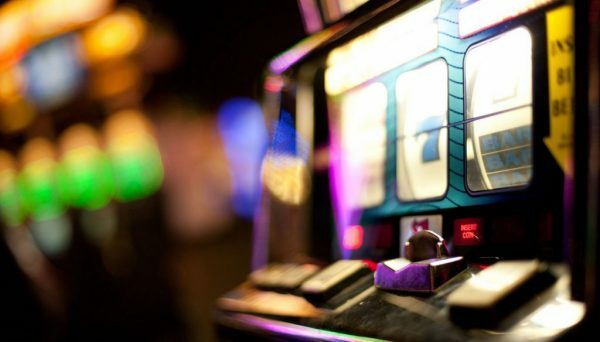 Kewadin offers a variety of on-site amenities, entertainment venues, dining options, convention facilities, and exciting Las Vegas style gaming action, including more than 2,000 slots, and your favorite table games, including Poker, Keno, Craps, Blackjack, Let it Ride, and Roulette. We invite you to explore all five Kewadin Casinos! Kewadin Casino Sault Ste. Marie offers a variety of Vegas-style gaming including Blackjack, Poker, Roulette, Craps, 3-Card Poker, Keno, Bingo, and over 800 slots to choose from. On-site amenities include a 319-room hotel with an indoor pool, spa, fitness center, valet parking, free parking and a hotel shuttle service. Kewadin Sault also offers a 30,000 sqft full-service convention center located on property. Plus, our DreamCatchers Restaurant serves breakfast, lunch, and dinner. Other additional amenities include the 1500 seat DreamMakers Theater, Northern Rewards Players Club, Signatures Bar, Rapids Lounge, Superior Bar, Bahweting Art Gallery and Miigwewnen Gift Shop. The Agawa Canyon, world famous Soo Locks, and the history of Michigan’s oldest city all await you in Sault Ste. Marie. Kewadin Casino St. Ignace offers a variety of Vegas-style gaming including Blackjack, Poker, Roulette, Craps, 3-Card Poker, and over 700 slots to choose from. On-site amenities include a newly renovated hotel on Lake Huron, shuttle service to and from area motels, valet parking, free parking, the Northern Rewards Players Club, Eagle Feather gift shop, Whitetail Sports Bar and the Northern Pines Lounge. Plus, our Horseshoe Bay Restaurant overlooks the beautiful shoreline for spectacular dining with an equally spectacular view. St. Ignace is the gateway to the Upper Peninsula with Mackinac Island and the Mackinac Bridge in reach! Kewadin Casino Manistique, located on US-2 west of the Mackinac Bridge, features a hometown atmosphere with the excitement of Vegas-style gaming. Enjoy dining at our Mariner’s Cove Restaurant, relax and take in a sporting event at our Team Spirits Bar, and join in on exciting promotions at our Northern Rewards Players Club. The Manistique area has many outdoor attractions as well. Enjoy hundreds of island lakes, rivers, streams, and incredible charter fishing on Lake Michigan. In the winter months, snowmobilers can appreciate over 300 miles of groomed trails, ice fishing on the hundreds of lakes, or cross-country skiing on dozens of trails. Kewadin Casino Christmas, located on Lake Superior, offers Vegas-style gaming including slots, Blackjack, Virtual Blackjack, Let it Ride, Ultimate Texas Hold’em, and six spot King’s Bounty Blackjack. Amenities at Christmas include Frosty’s Pub ‘n Grub, the Northern Rewards Players Club, and the Northern Lights gift shop. The Christmas area offers exciting outdoor attractions along the coast of Lake Superior. Visit the Pictured Rocks National Lakeshore or take a voyage on the Glass Bottom Shipwreck Tours. Enjoy all nature has to offer in Christmas! Kewadin Casino Hessel is located three miles from the beautiful Les Cheneaux Islands on Lake Huron. Hours at this facility vary upon the season, but hometown friendly service is always yours for the taking. This quaint Kewadin Casino location offers our guests exciting slot gaming action along with the Northern Nook Deli and the Northern Rewards Players Club. Plus, take advantage of our cabin rental year round or our campground from May 1st to November 1st, located directly across from the casino and minutes away from the trails. Area activities include golfing, boating, fishing, and snowmobiling.